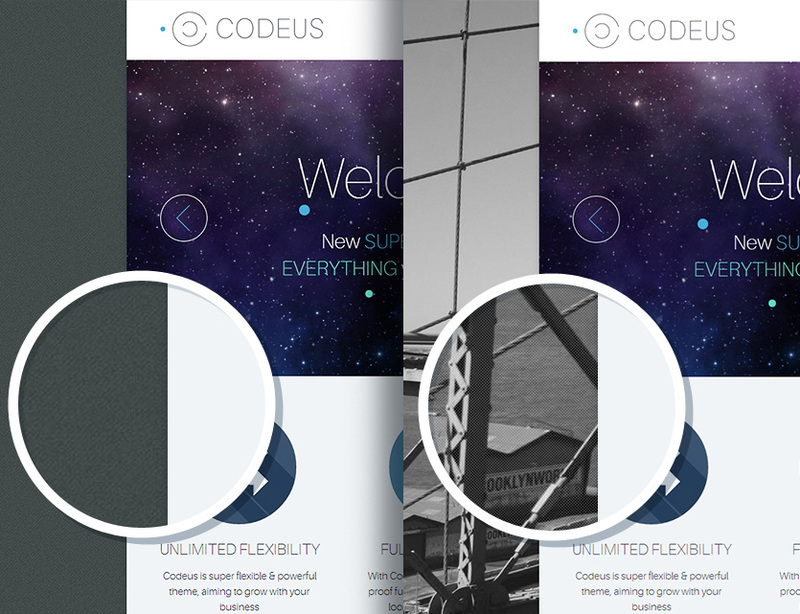 Codeus is designed with an option to use images & graphical textures for different layout bars. For example you can use graphical backgrounds to style your portfolio sliders or quickfinder bars, you can enrich your boxed background with some awesome patterns. All these you can set simply & with few clicks in Codeus theme options.